A new tool for the “projects when the power is out”. My wife and kids gave me an early Christmas gift this year – I need to refurbish/rebuild this and get it back into service as best I can. You can read more about it under the projects tab. 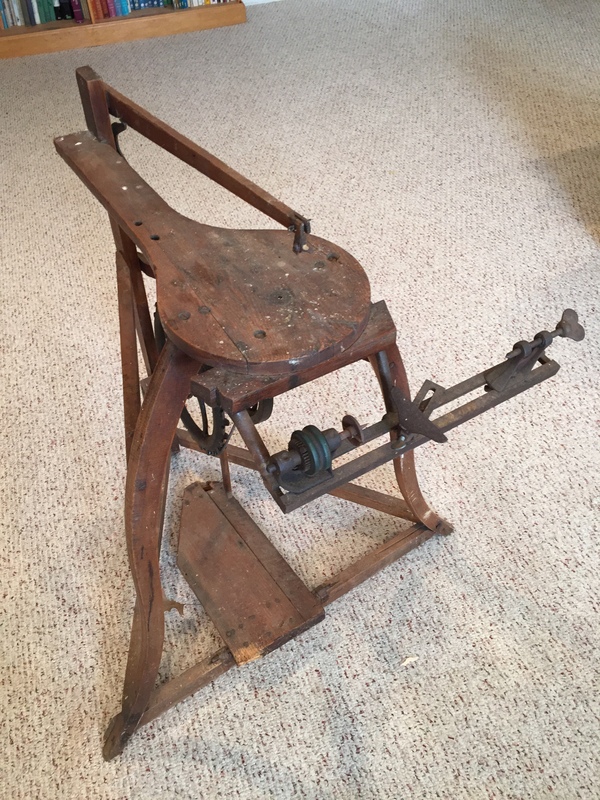 This entry was posted in Projects, Shop stuff, Tools and tagged hand tools, shop stuff, Tools, woodworking on November 23, 2014 by bkbiggs. As I continue to work on a small cabinet to hold baskets for my daughter, I’m doing some focus exercises on my dovetails. I teach a hand cut dovetails class at Woodcraft, but I’m no master like Mr. Cosman. Because I don’t do this professionally (outside of teaching), I take every new project with dovetails as a chance to improve my technique. The critical points for the tails is that 1) they are perpendicular to the face of the board, and 2) they stop exactly on the scribe line. By taking the time to practice, I’m trying to continue developing muscle memory, which is a hard thing to do if you don’t do them all the time. And anyways, I don’t know if I’ll ever get to the point that speed becomes an focus, because I do this for fun not for profit. 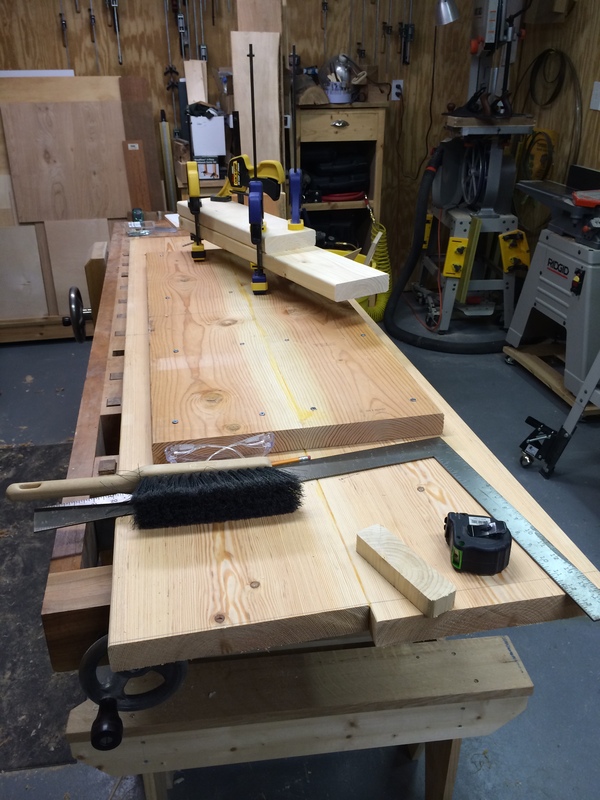 This entry was posted in Projects and tagged made by hand, shop stuff, woodworking on November 10, 2014 by bkbiggs. The McMaster-Carr connectors that I ordered late last week arrived yesterday, so I was able to get much further in bench assembly than I thought I was. I glued the 1×10’s to the aprons, after setting them in place on the upside down top of the bench. Using the 1×10’s as a guide, I set the legs up tight against the apron, and was able to mark and secure the legs to the aprons using the connectors. This entry was posted in Shop stuff and tagged shop stuff, woodworking on September 16, 2014 by bkbiggs. This entry was posted in Shop stuff, Supplies and tagged shop stuff, woodworking on September 15, 2014 by bkbiggs. I don’t remember where I first saw this form of push stick… but I do remember thinking – “That is the right way for me”. A simple plan that I’ve used for several years. Some push sticks are narrow enough to handle 1″ strips but the form factor is the type that requires a long reach. To me, and more importantly with my technique, I don’t feel safe with that style. The other style I use is a the “paddle” style, which I do really like, but doesn’t work well for cuts where the width is less than 4″. I like the handle form, where I can press forward a bit to engage the toe, but the center of gravity in my hand is pretty much right over a small hook that is engaged on the trailing edge of the board. There are number of styles out on the internet, so look around to see what suits you best. Most importantly – Use Them! Since I have the old one (yeah, it gets chewed up over time), I used it as a template and laid out the form on some 1/4″ scrap, and some on a 3/4″ scrap. I pretty much just use plywood for this, I expect MDF would work as well – but I would not try to do the thin ones from solid wood, unless I was sure the grain wasn’t going to give out. 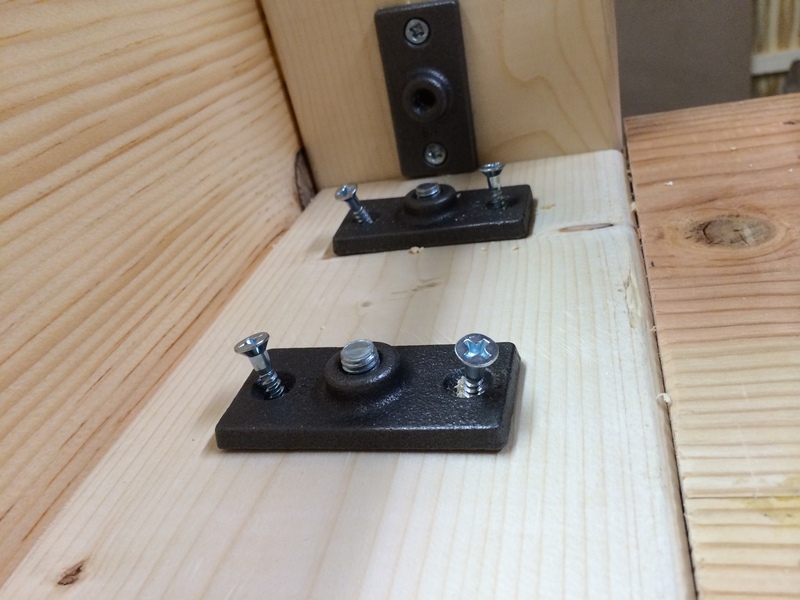 This entry was posted in Shop stuff and tagged jigs, power tools, woodworking on April 27, 2014 by bkbiggs. 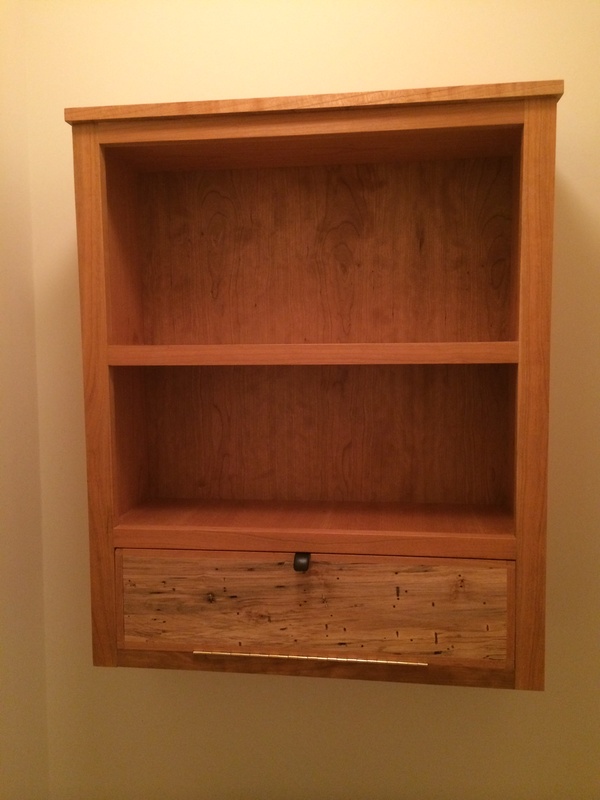 This entry was posted in Projects and tagged Cabinetry, hand tools, made by hand, power tools, woodworking on April 22, 2014 by bkbiggs.